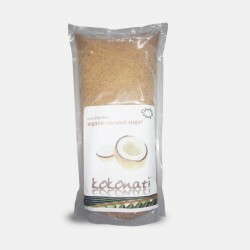 Brief: Organic Coconut sugar and nectar is made from a type of sweet syrup extracted from the sap of the inflorescence of the coconut palm. 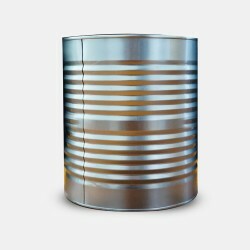 The sap is boiled down much like sugarcane juice to produce coconut sugar and coconut nectar or treacle. 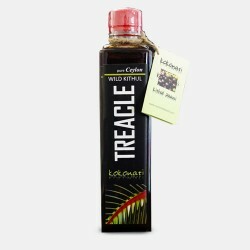 Coconut nectar is lighter in texture than Kithul treacle and has a natural sweet taste. 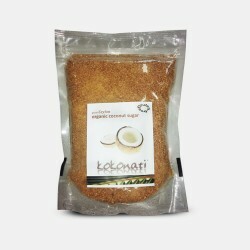 Coconut sugar has a light earthy flavour Depending on the harvest and season every batch of nectar can vary in colour and to a minor degree in taste as it is a completely natural extraction and production process which does not use any chemical refining or addition of additive or preservatives to standardize product. 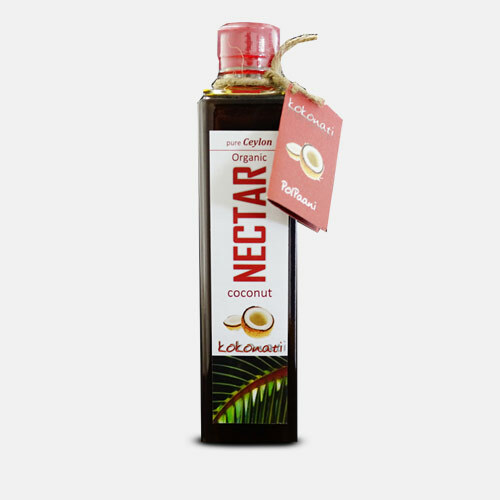 Coconut nectar is said to have a glycaemic index range of 35- 38.